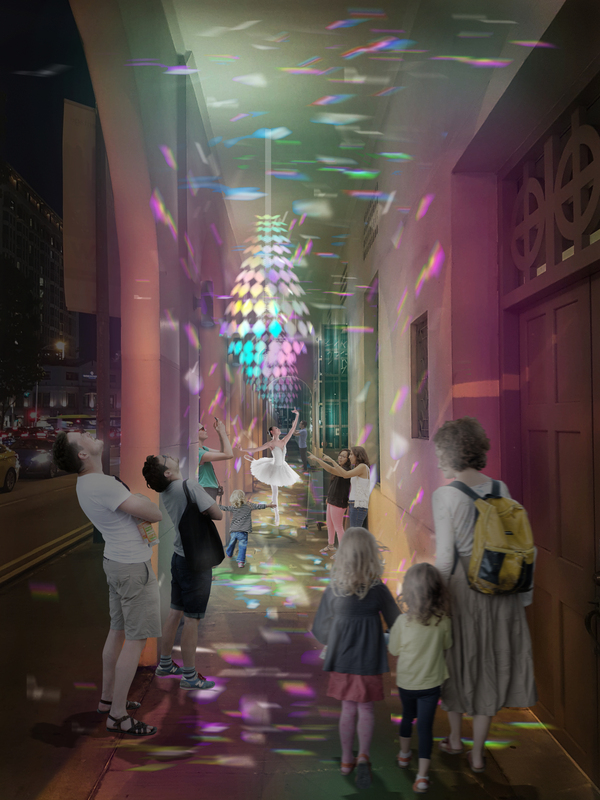 Bras Basah.Bugis Urban Interventions are three design intervention installation proposals selected through an Open Call for the Bras Basah.Bugis x Singapore Design Week 2019 collaboration. Located along Queen Street and at the National Design Centre, watch the installations transform and enliven the street; interact with the instagrammable installations as it offers delightful encounters for visitors both young and old. Light Playground is an immersive installation which visualises a child’s imagination through light, taking inspiration from childhood toys such as the kaleidoscope and wind-spinner. The Queen Street precinct was home to seven schools. The large number of students created a unique and lively ambience. This exciting atmosphere is recreated through light and interaction to relive the child-like nostalgia of the precinct. Situated in the covered walkway of the National Design Centre, it transforms a mundane pedestrian walk, to a fun “recess” time which allows pedestrians to pause, wonder, play, and fully experience the architecture. Each pendant is placed under an arch, integrating the installation with the façade, bringing playfulness to the formal architecture.